Public pensions are falling apart around the country, but now the security of private pensions is being threatened as well. Based on a new Federal law passed in 2014, the U.S. Department of the Treasury just made a shocking decision to allow a Cleveland-based ironworker pension to start slashing member benefits as early as next month. 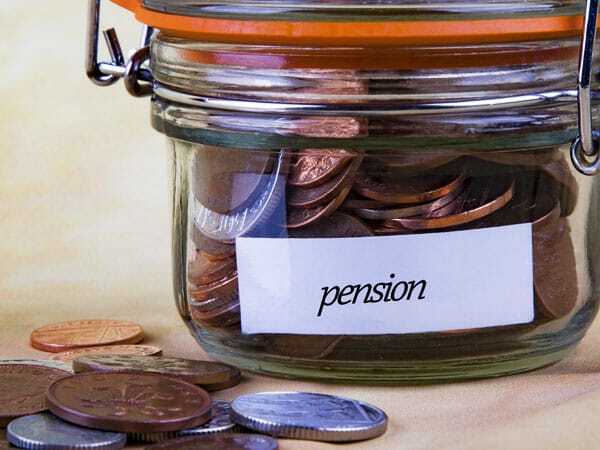 Now, experts fear other struggling private pensions could quickly follow. It’s always been assumed that both public and private pensions will find a way to fix their shortfalls and pay out their obligated benefits – with public pensions using government cash (from budget cuts and tax hikes), and private pensions relying on corporate profits and cash reserves. But today’s economy is making those old pension safety nets unfeasible; governments are running out of money, and private sector performance is plummeting. Now, pensions are starting to consider just how obligated they really are. Public pensions started bending the rules first, which is less surprising since lawmakers have a personal interest in legislating away plan obligations to avoid gutting government budgets. Private pensions don’t have the same “power behind the throne,” though. They’re legally bound by federal law to pay out their guaranteed benefits. Well, at least they were legally bound until 2014, when the law changed to allow private pensions to cut benefits upon approval of the Treasury Department. Now, two years later, the Treasury Department is approving the first request for approval, and critics believe it could trigger a domino effect that strips millions of private pension members of their benefits. …critics of the pension law worry that the cuts may open the door for other troubled pension plans to shrink retirees’ benefits. At least five other pension plans are waiting for the Treasury Department to review their applications to scale back benefits. The proposals could affect tens of thousands of employees and retirees who earned pensions as bricklayers, furniture workers and autoworkers. “This could just open the flood gates for approval for all of them,” said Karen Ferguson, director of the Pension Rights Center, a nonprofit that focuses on retirement issues. In essence, what’s happening to pension funds today is bringing the fundamental principle behind their existence into question: that members of the plan can expect a guaranteed level of benefits dependent on how much they pay in, that pensions are obligated to pay out a certain level of benefits. Pensions are starting down a slippery slope, and it’s impossible to know how far they’ll go. Where Can Americans Find Security? It seems as though there aren’t many safe options for retirement in the current economic climate. Public pension holders are at the government’s mercy; private pension holders’ benefits are no longer legally guaranteed, and standard retirement savings accounts are sitting ducks for whatever crisis befalls us next. For extra security in today’s uncertain financial system, one of the few safe havens left is in the ownership of real assets – savings vehicles with material value that can’t be touched by the government, your employer, or the treacherous currents of the market. Today, at the same time that many American pension holders are being left frustrated, this may be the perfect time to protect your savings with a market-proven real asset: gold.